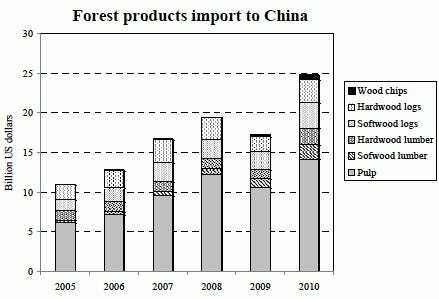 Another commodity that is massively dependent on China is wood. 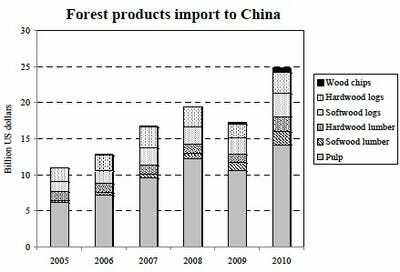 China was responsible for 33% of log imports in 2010. Likewise 30% of pulp imports; 13% of wood chip imports; and 10% of lumber imports, according to Wood Resource Quarterly. Lumber prices are around their highest levels since the housing crash. You can see from this chart, also from WRQ, how much Chinese demand is rising.